Like any family it needed to hold together but also respect each individual's unique personality. So we started by creating a basic look, as the DNA of the family, to help orient vistors to the sites and to give them a solid comfort level. We dressed up each of the kids in their best clothes and put them out in front of the world. 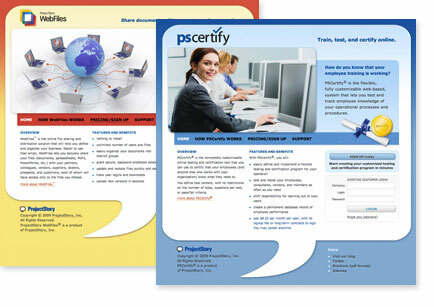 The family resemblance is clear but so too are each site's unique features and benefits. favicon for each site and even special icons for iPhone/iPod Touch visitors who want to save the sites to their home screens. iPhone/iPod Touch icons designed for ProjectStory's websites. 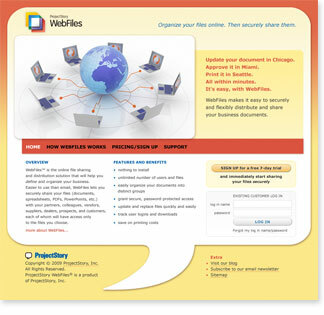 Home page for WebFiles™ product. 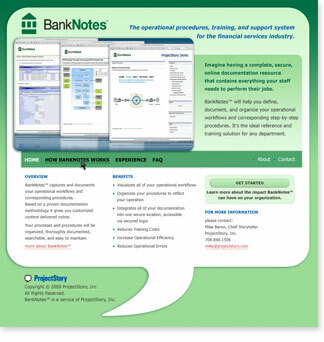 Home page for BankNotes™ service. 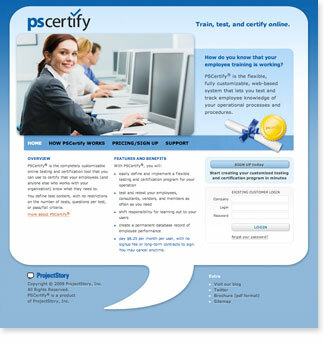 Home page for PSCertify® product.